At JLT Specialty we believe in doing things differently. We believe that in order to deliver solutions in the world of insurance broking and risk management, we must thoroughly understand the different challenges your business faces. Time spent getting to know your business and listening to you, results in a more complete and individual response. We advise on many varied risks: large and small, straightforward and complex. We also have experts who focus on certain industry sectors where our wealth of experience and expertise means we know we can make a difference. Based in Nottingham City Centre, in the heart of the East Midlands, we are in the ideal location; readily accessible and within easy reach of all our clients. 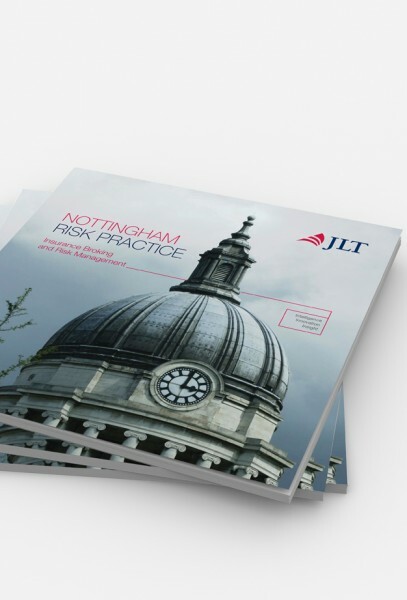 We have access to the market strength and wide ranging skills of the whole of the JLT Group in the UK and its network of international offices in 135 countries. of cover, fast decision making, innovative solutions and claims support.